Whether you�re DJing at home, in the club or auditioning your music on the go, the HDJ-700s adapt to all contexts. 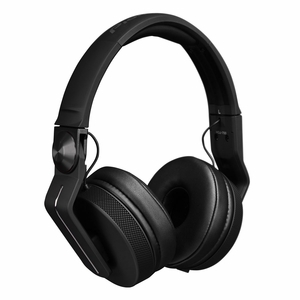 Taking inspiration from our top-flight range, these headphones come in a sleek, lightweight aluminium design, outputting crisp and clear sound that�s engineered to strongly reproduce low and mid-level frequencies. 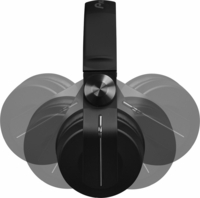 Optimised for dance music, the HDJ-700s have narrow ear pads and 40 mm driver units with rare earth magnets providing a powerful bass and great sound insulation. A 19 �m diaphragm and copper-clad aluminium wire (CCAW) voice coil accurately reproduce kicks and snares. A rigid, stainless steel headband endures the rigors of frequent use, while two interchangeable side-mount cords - one 1.2-metre coiled cord (3 m extended length) and one 1-metre straight cord � prolong the headphones� lifespan.